NASA's InSight lander is on its way to Mars following Saturday's successful launch of an Atlas V rocket from the Vandenberg Air Force Base in California. But the lander is not alone - it has a pair of twin communication CubeSats in tow. Called MarCO-A and MarCO-B, the tiny machines have already passed the first important milestone in their groundbreaking mission to the Red Planet. When MarCO-A and MarCO-B arrive at Mars later this year, they will be the smallest machines to ever visit another planet. Known as nanosatellites, these devices weigh a mere 14kg each, and measure just 36cm by 25cm by 13cm when packed into a rocket's cargo hold. Once at Mars, the tiny satellites will provide a communications link with stations on Earth as InSight makes its perilous entry to the surface. 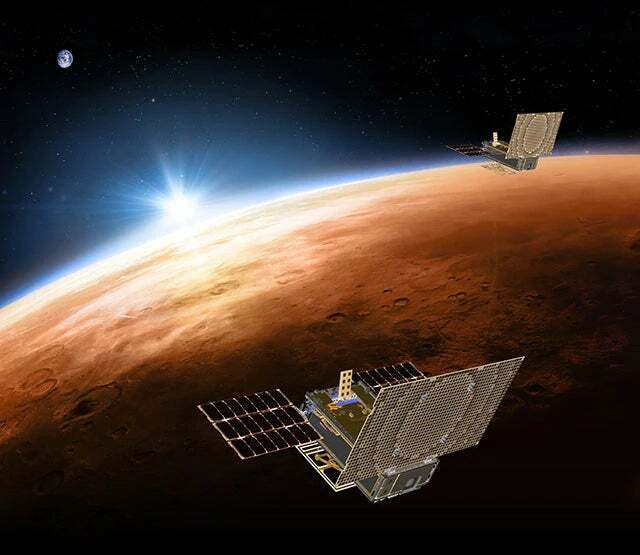 But NASA's lander is not dependant on Mars Cube One (MarCO) for its success; the CubeSats are involved in a proof-of-concept mission to test the viability of sending small satellites to the outer reaches of the Solar System. NASA received the first signals from MarCO-A and MarCO-B on Sunday at 5:15AM AEST, shortly after the launch. The receipt of these signals is good news - it means the devices switched on and booted-up. But the signal also means that the CubeSats successfully unfurled their solar panels, stabilised their orientation, turned towards the Sun, and switched on their radios. NASA engineers still need to conduct a series of tests before the CubeSats begin their journey to Mars (they're currently orbiting Earth), but early indications suggest the machines are working properly. MarCO-A and MarCO-B will then spend the next half-year travelling to Mars. The twin CubeSats are redundant versions of each other, deployed as a pair should one of them malfunction. Their closest approach to Mars, scheduled for 26 November 2018, will be at a distance of 3500km. During this critical phase of the mission, dubbed the Seven Minutes of Terror, the CubeSats will monitor InSight's progress, providing information to mission controllers during a phase that normally goes dark. MarCO-A and MarCO-B will track InSight's progress, and relay information back to Earth at a rate of eight kilobits per second over UHF, and in near-real time. As noted, InSight doesn't need MarCO to succeed. Once the probe has landed safely on Mars (fingers crossed), InSight will use NASA's Mars Reconnaissance Orbiter and Earth-based stations for its communications needs. 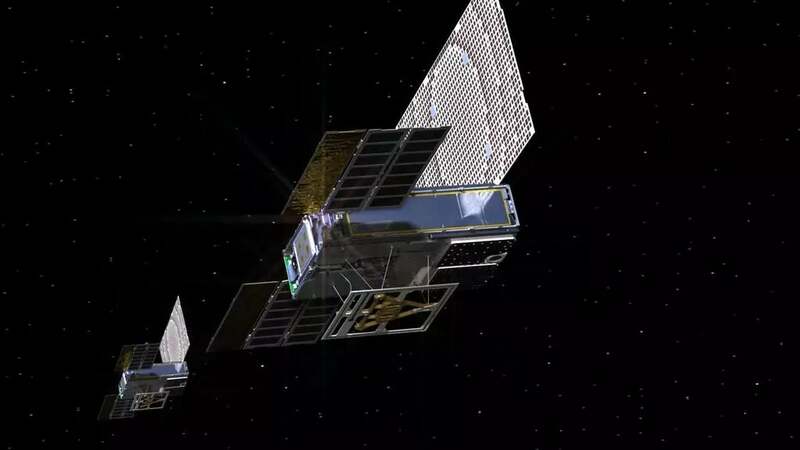 NASA scientists are using the mission to understand if and how CubeSats can work in deep space, testing their endurance and navigational abilities. Should all go well, NASA can start to think about similar missions to other Solar System bodies, such as the outer gas planets and possibly even the Kuiper Belt.